But you can see the number of transactions is falling behind the pace of record year 2013, and the gap gets more pronounced as the year goes on. I think this is at least partly due to the lack of available inventory. As I have mentioned before, active listings are well behind past years. 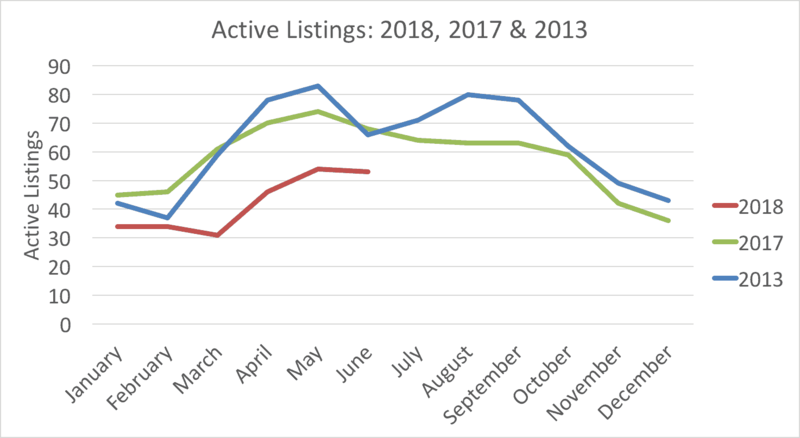 Nearby is a graph that shows active listings by month, 2018 YTD, last year and then 2013 (the most active year for transactions in the last 10).